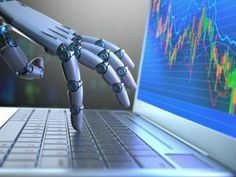 The current binary trading world is a fast-paced and highly competitive environment, but when it comes to trading robots – The Brit Method is one of the best software solutions you will find. 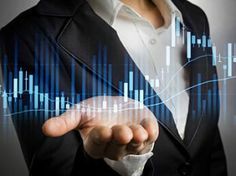 This automated trading program can place the trades on your behalf, but it also offers a broad range of other benefits and useful features as well. When First Ladies gather, there’s no telling what amount of good can be done to create public awareness during Domestic Violence Awareness Month this October. Indiana’s First Lady Karen Pence said HopeLine from Verizon is just one way that state employees can make a difference. Mrs. Pence made the first donation at the Indiana Statehouse at the start of the month as she dropped an old flip phone from Verizon into a HopeLine collection bin just outside her office. Now, she’s hoping to motivate as many as 28,000 state employees to do the same this month. She first heard of the First Lady HopeLine drives from Alabama’s First Lady. After their chat, she visited Verizon’s HopeLine website and found the quickest link to organize her own collection drive from the hallways of the Indiana Statehouse. When asked about a month-long drive, Mrs. Pence pointed out that old phones and accessories can be donated any time of year at any company-owned Verizon retail store. “All you do is lift the lid,” she said as she dropped off the first donation. Mrs. Pence said another eight phones were in her office and ready to donate, including ones with old texting keyboards that are no longer used in her household. In Indiana, HopeLine from Verizon has supported agencies in Indianapolis, Evansville and Fort Wayne – with grants to add programs, build out new space in shelters and to keep waiting lists at a minimum for families in emergency situations. Mrs. Pence said she hopes to make the drive an annual event.